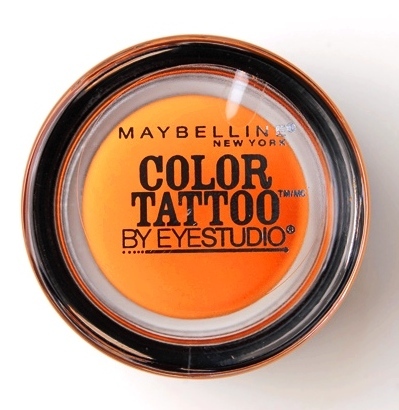 SHADOW: First I applied in Oatmeal Tan (camel) to my lower eyelid. 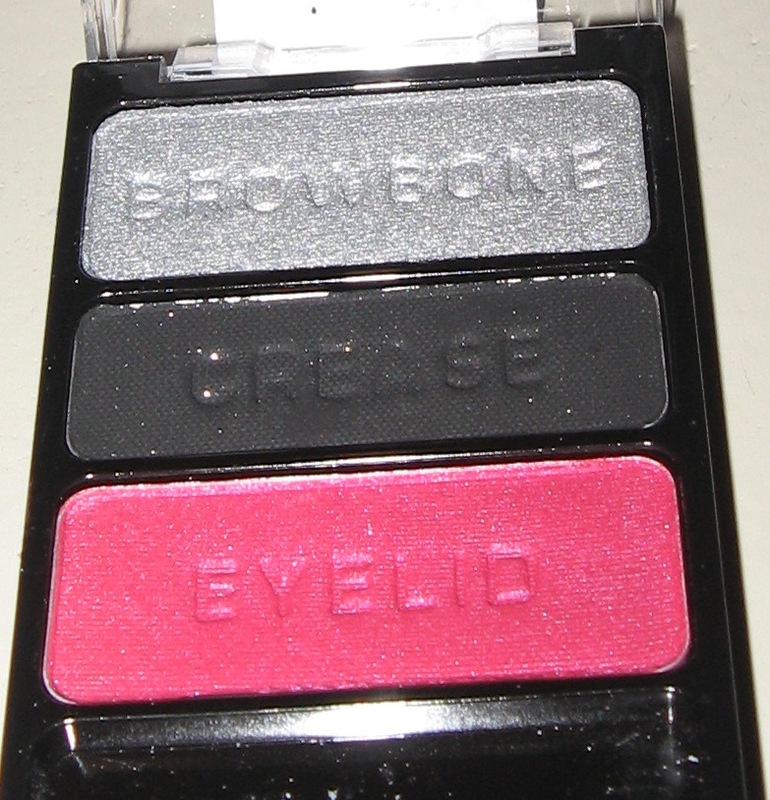 I used my Sonia Kashuk large crease brush to accent my crease w/ Neon Red (pinkish-red) & Maroon Berry (burgundy) on my outer v.
OTHER DETAILS… I used CoverGirl single e/s in Smolder to define my eyebrows & L’Oreal Collagen Mascara in Blackest Black on my eyelashes. 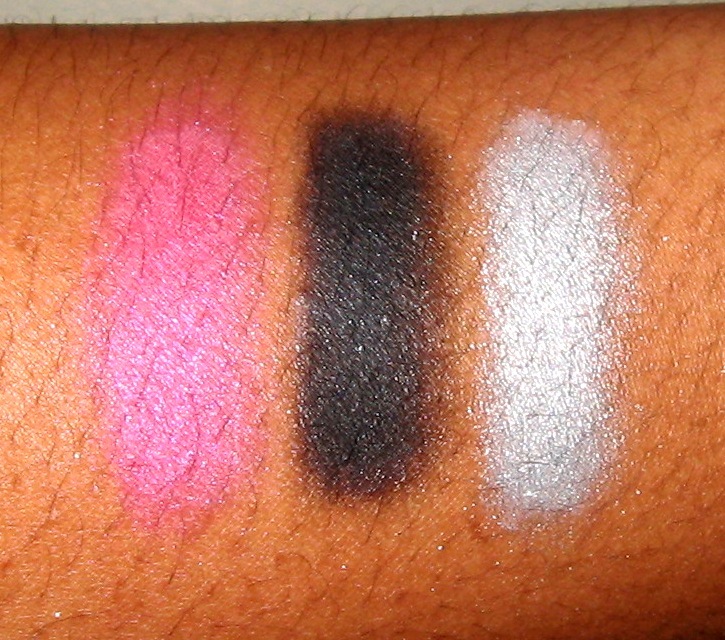 I defined my upper lashline using Wet N Wild cream liner in black. 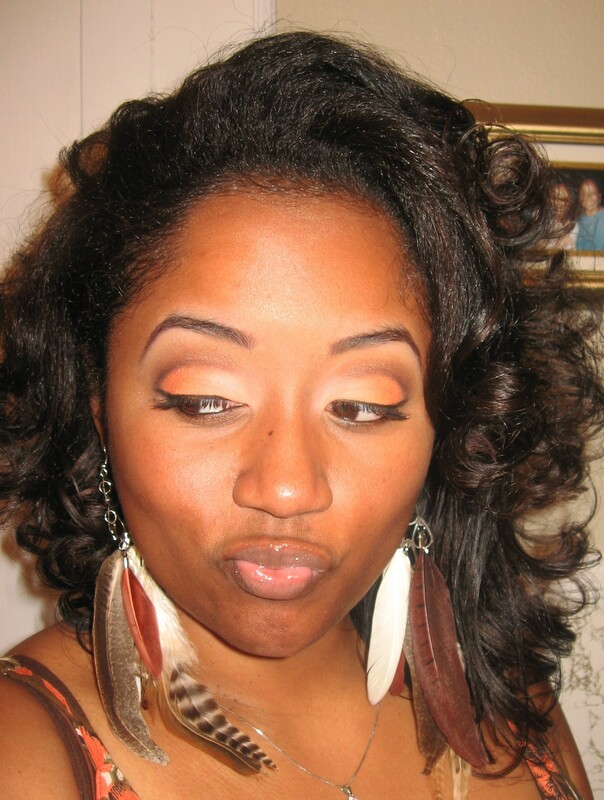 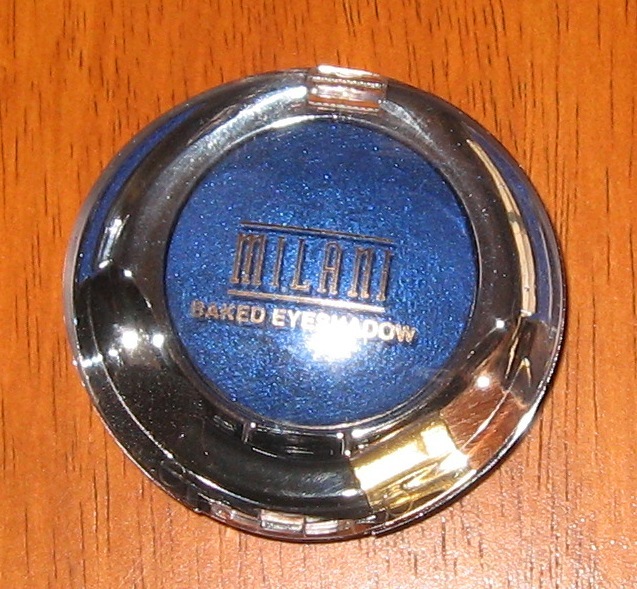 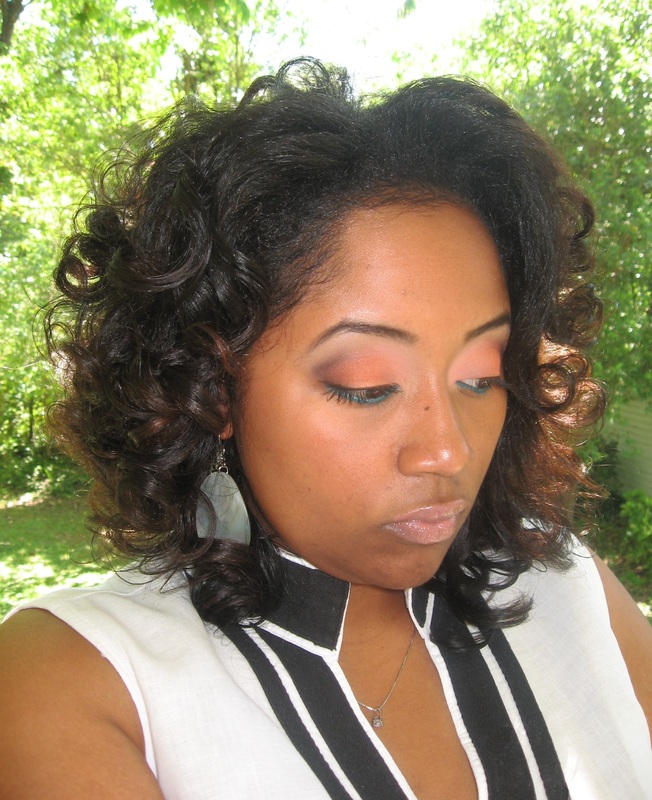 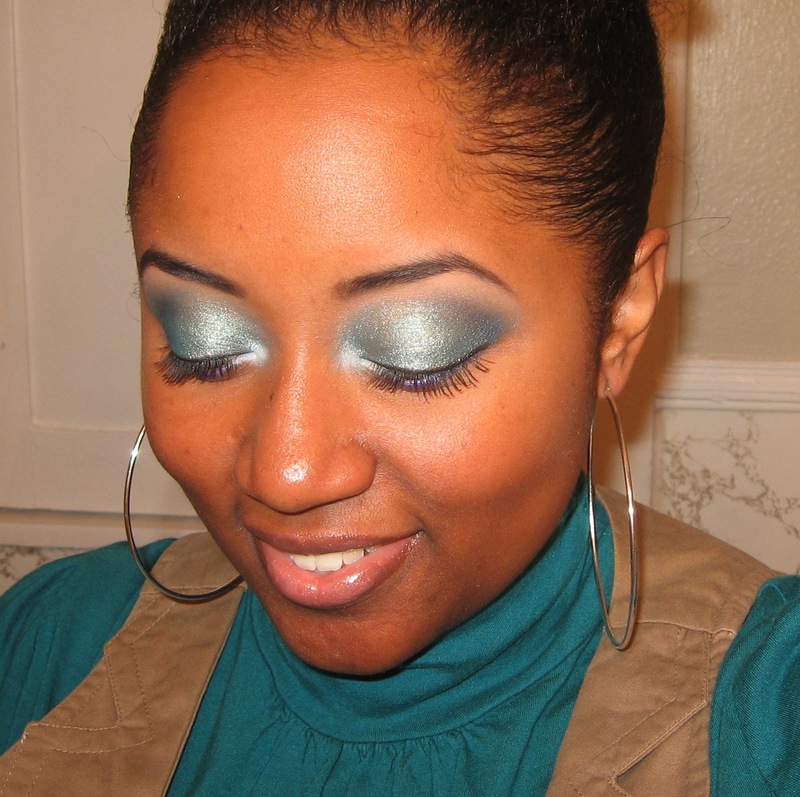 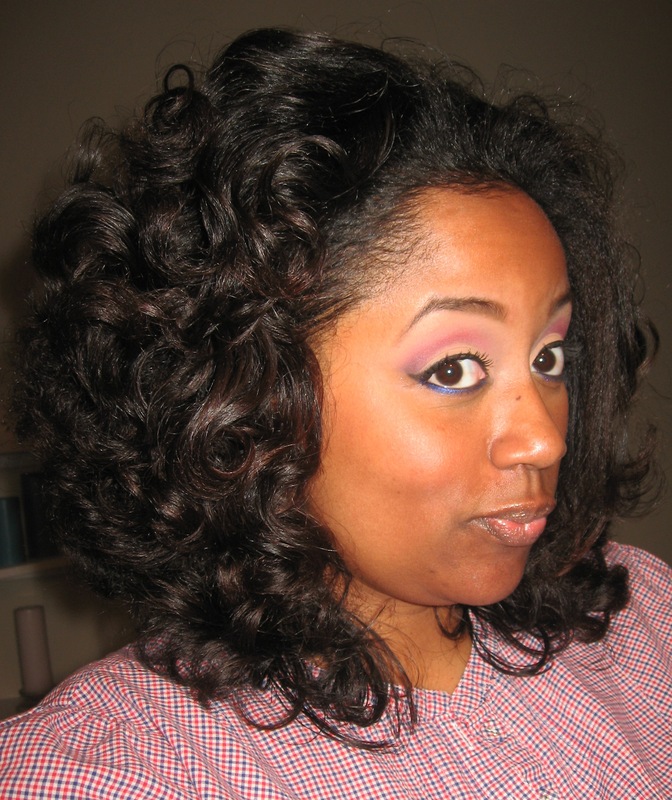 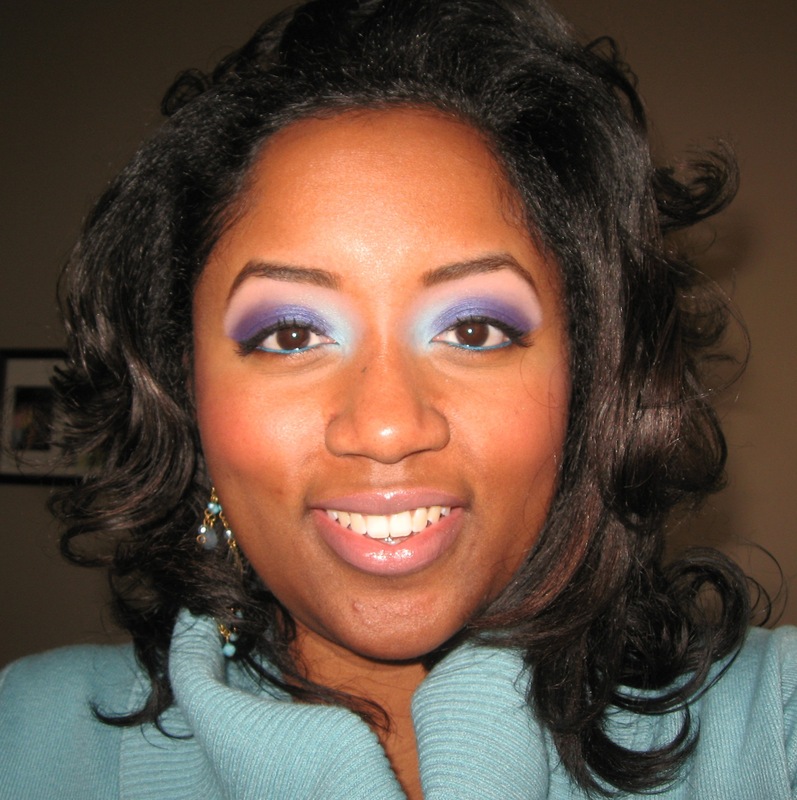 For a pop of color, I used a pencil brush to apply Milani e/s in Blue My Mind along my waterline. 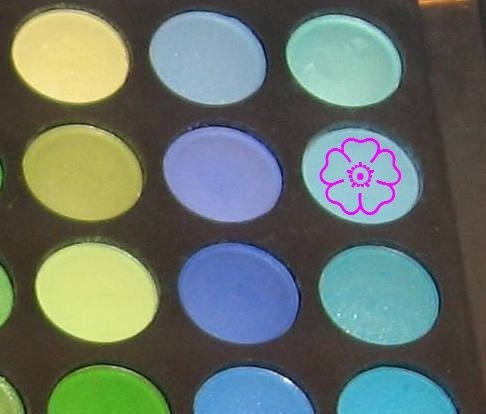 SHADOW: I covered the inner third of my lower eyelid in matte white e/s from the Wet N Wild Pride palette that I’m finally getting around to using. 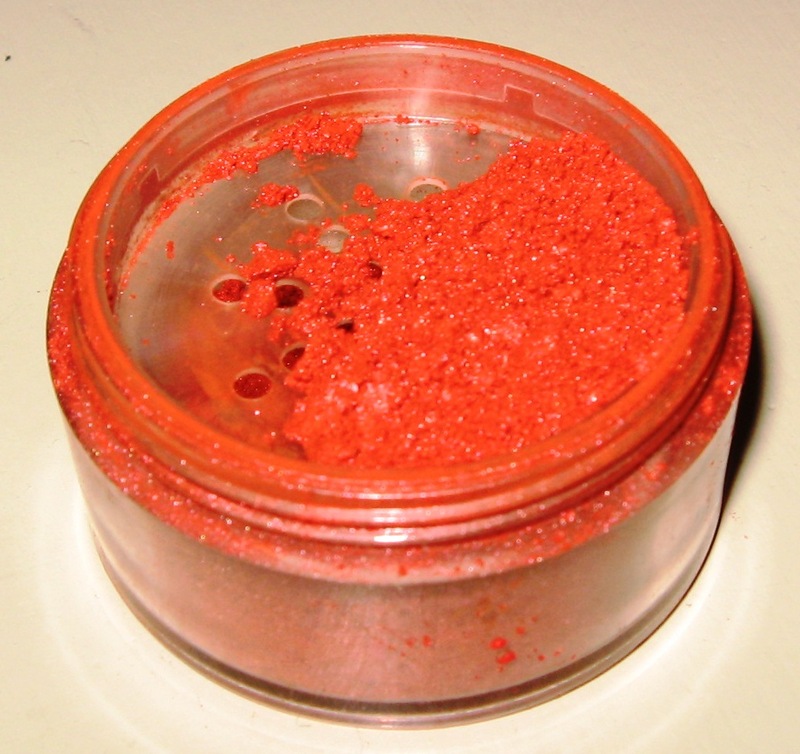 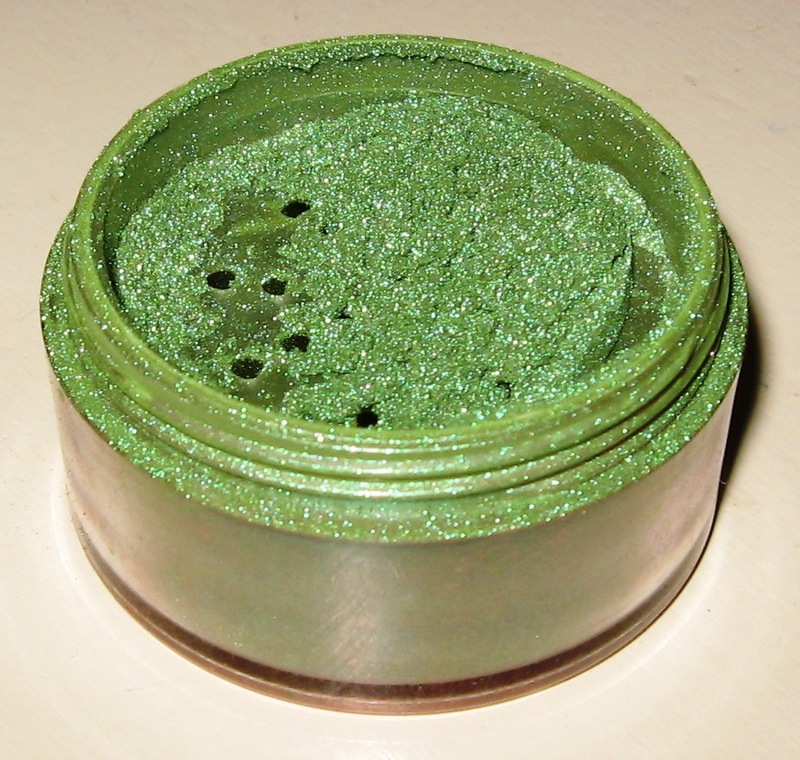 I blended the white e/s into a red mica powder that I made myself (using ingredients from CoastalScents.com). 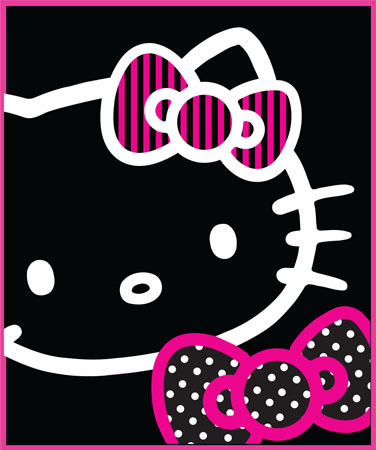 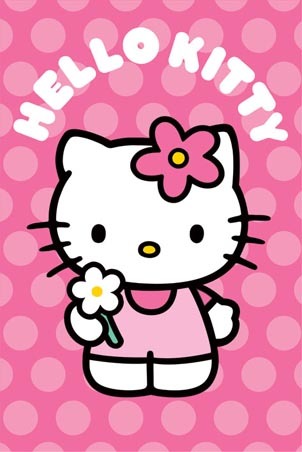 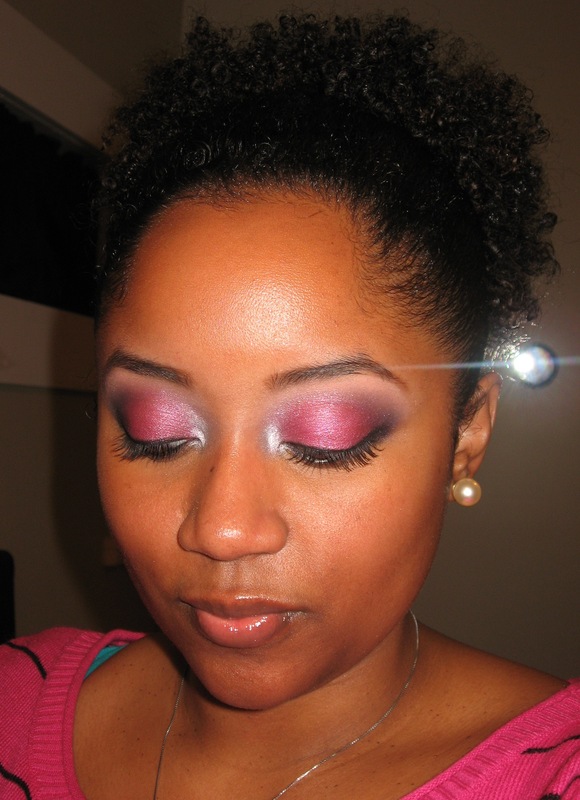 I call it “Red Hot”!!! 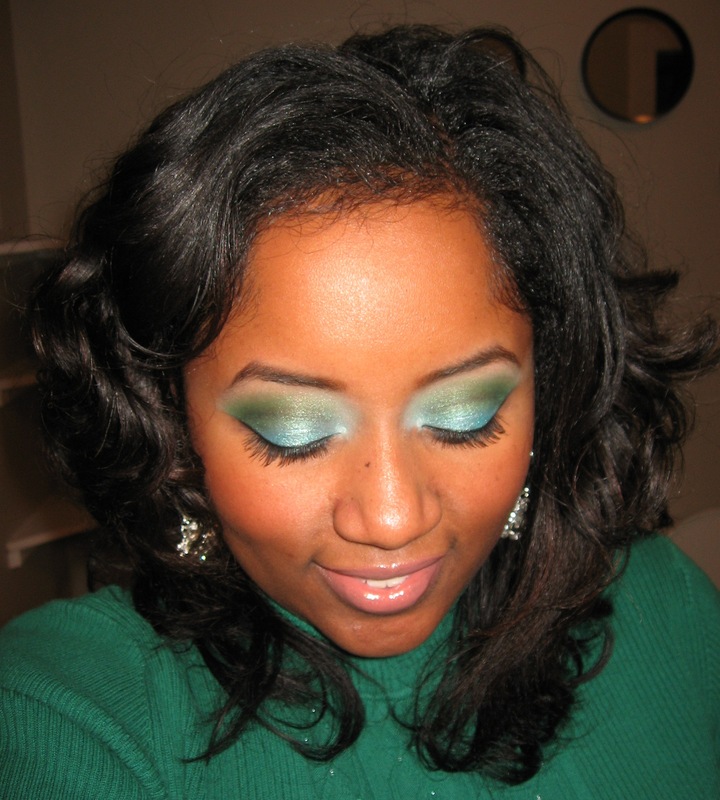 Next I used my crease brush to apply matte grassy green e/s (Shany 120 palette) to the crease area. 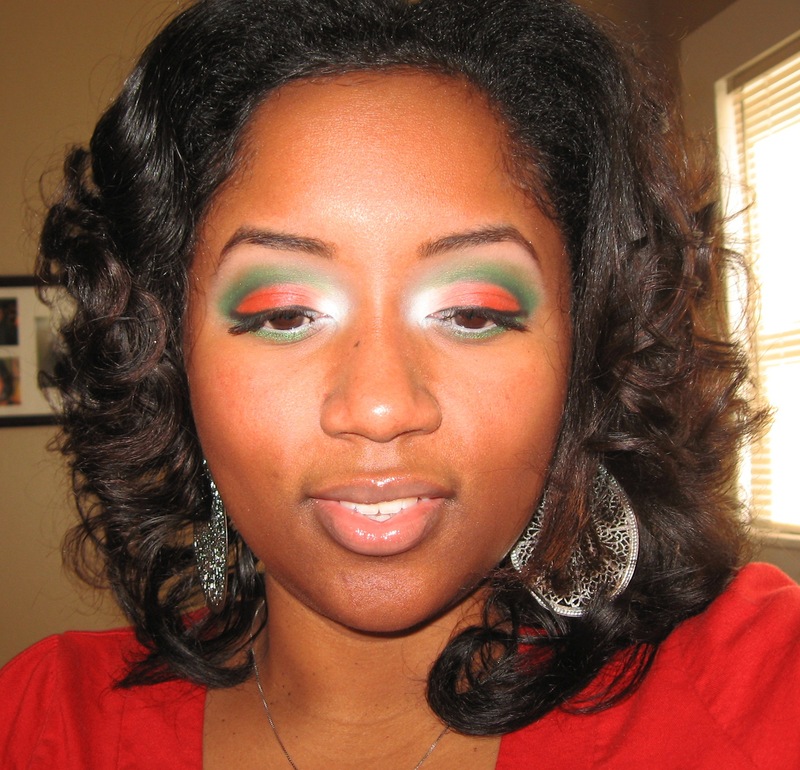 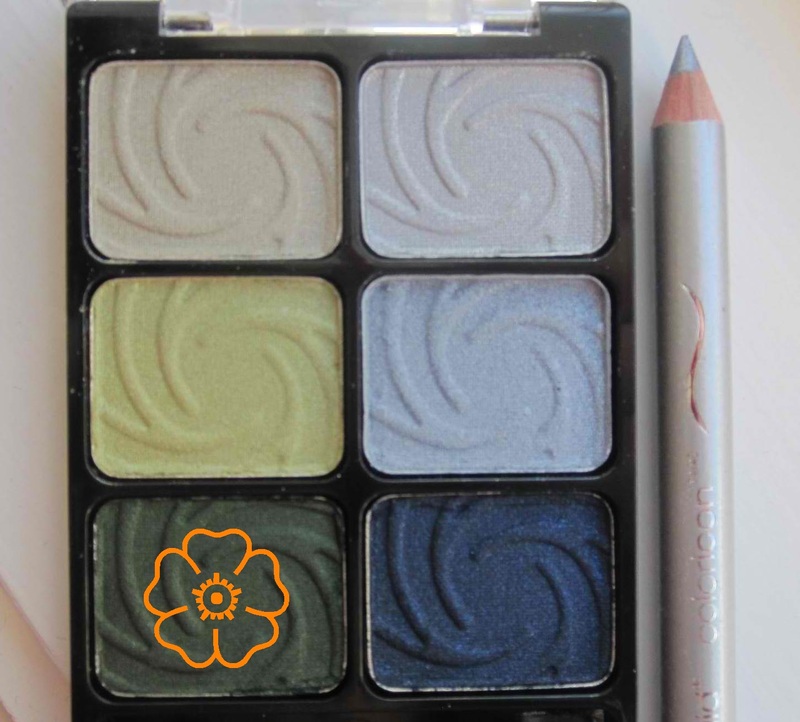 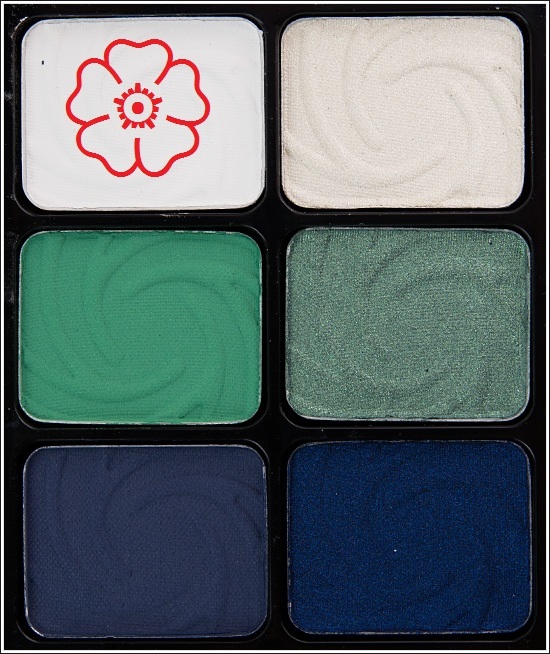 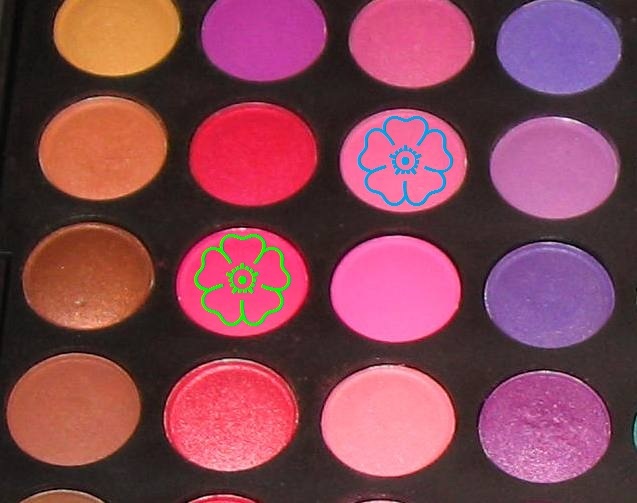 This wasn’t dramatic enough for me, so I used my pencil brush to apply my favorite shimmery, dark green e/s (Wet N Wild Snow Sprite palette) along the border between the red & green, to cut the crease a little harder. 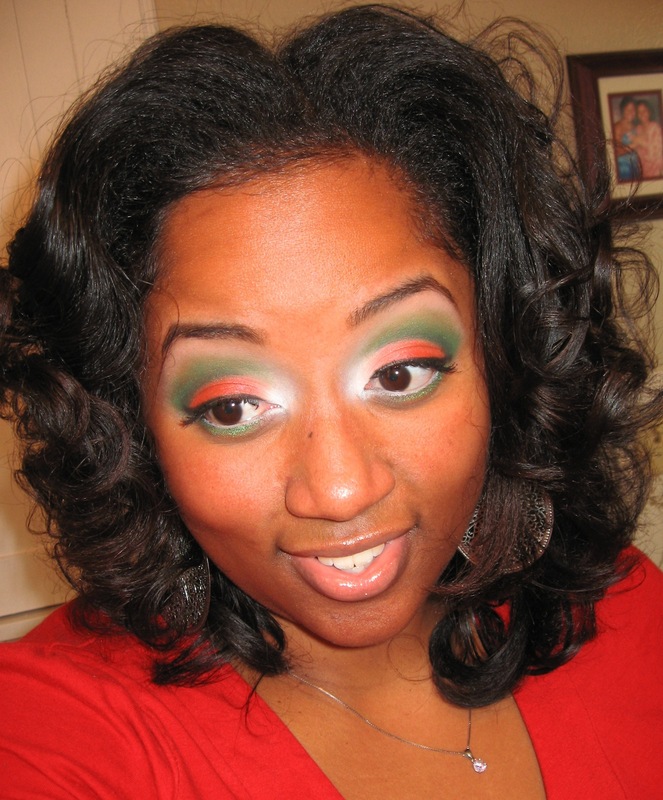 I used a clean brush to blend the green into my brow bone area & then applied matte peach e/s (from the Wet N Wild Greed palette) to my brow bone. 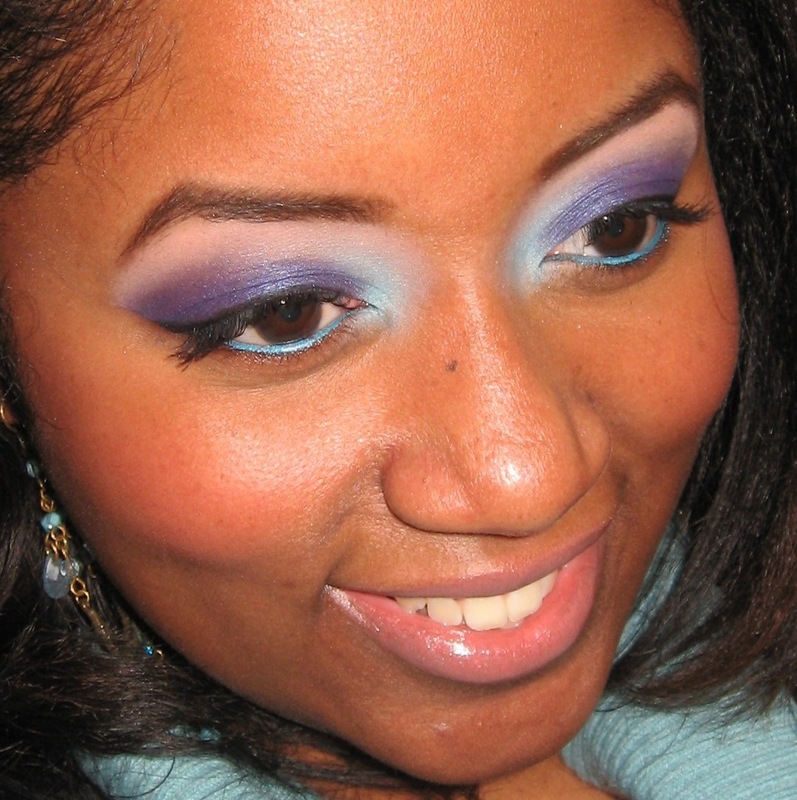 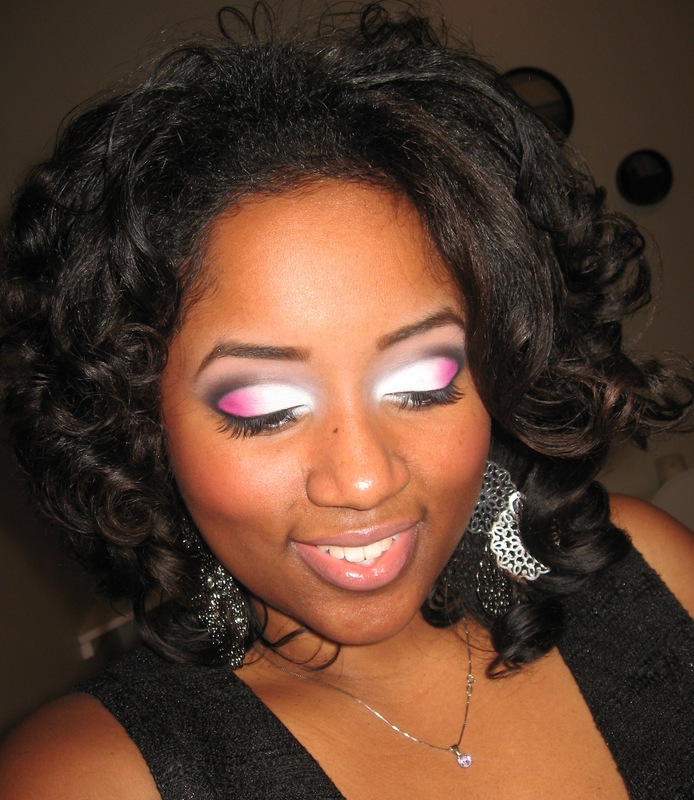 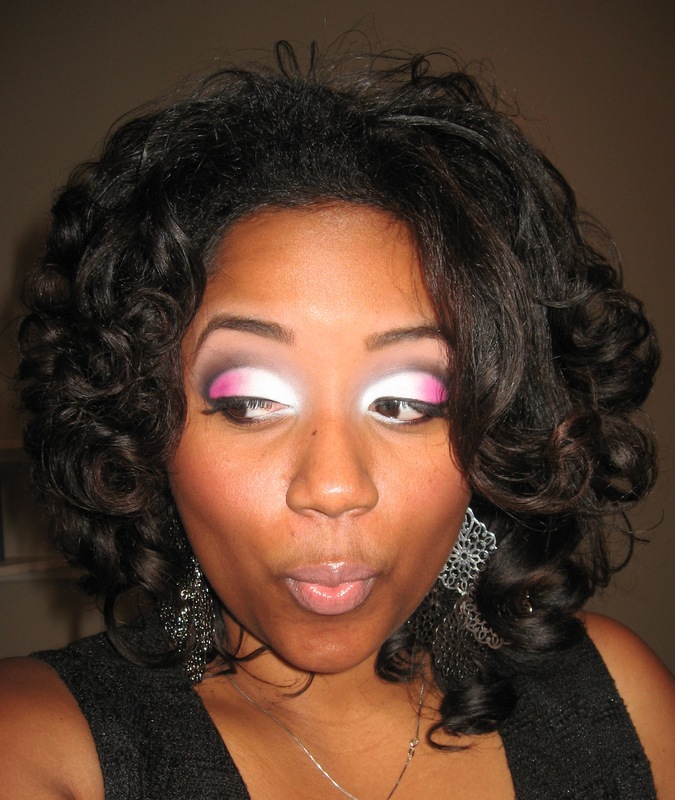 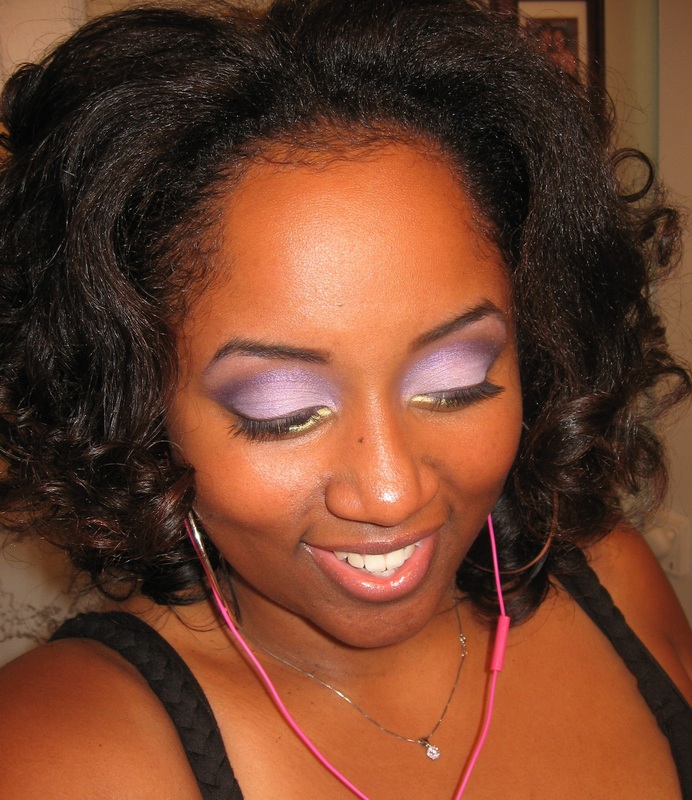 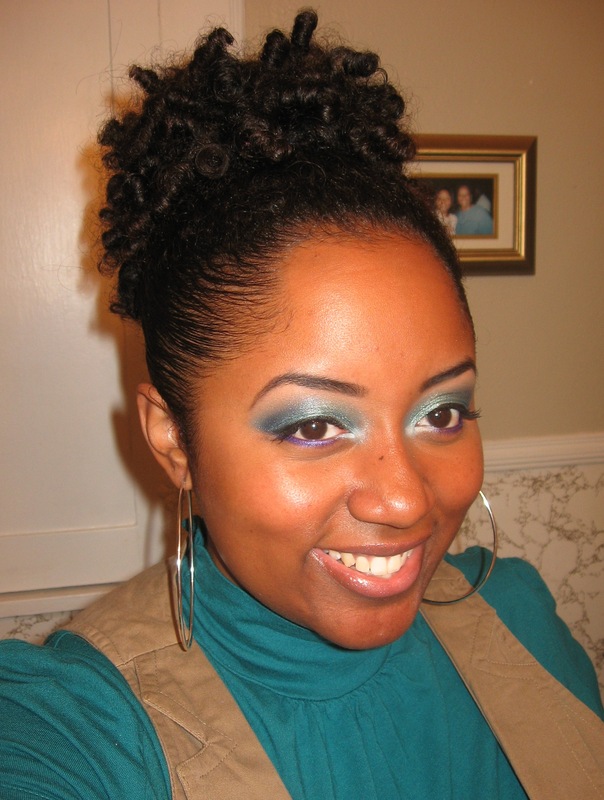 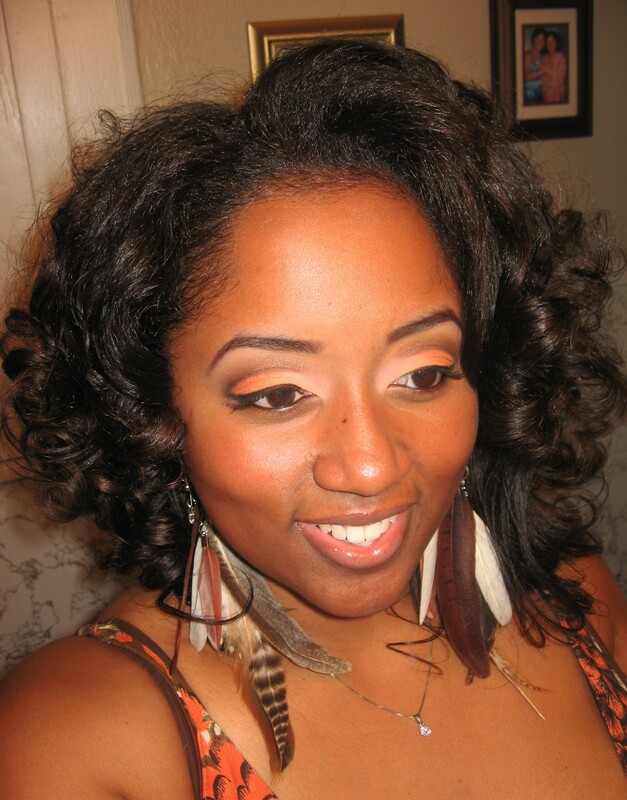 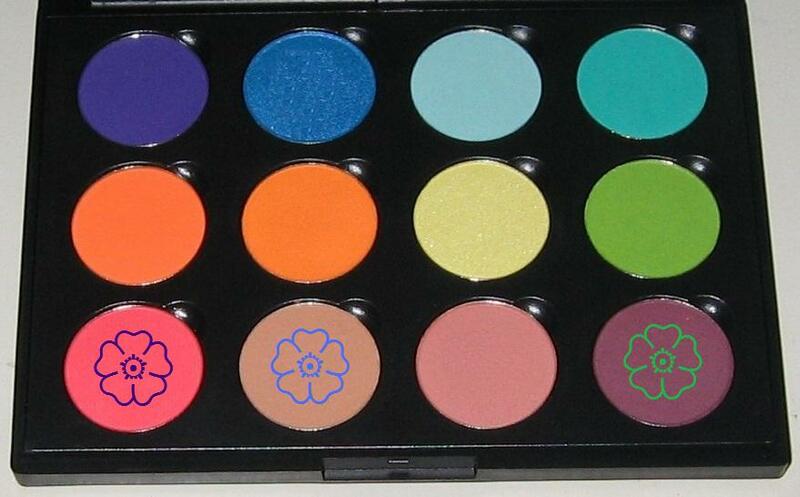 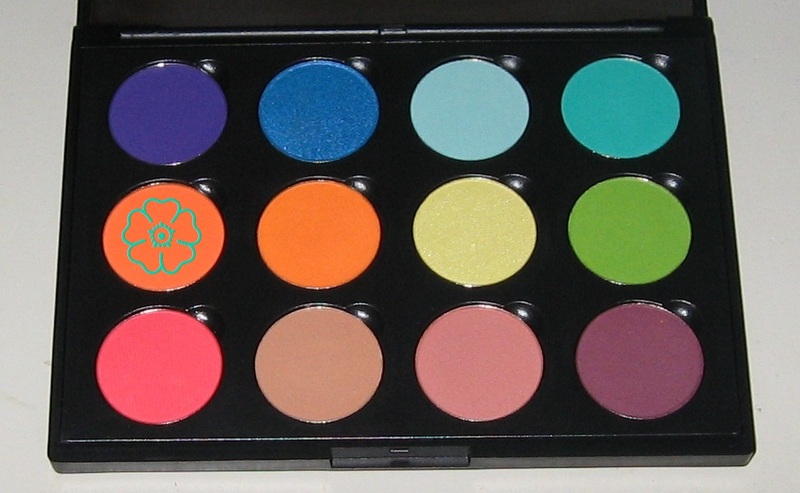 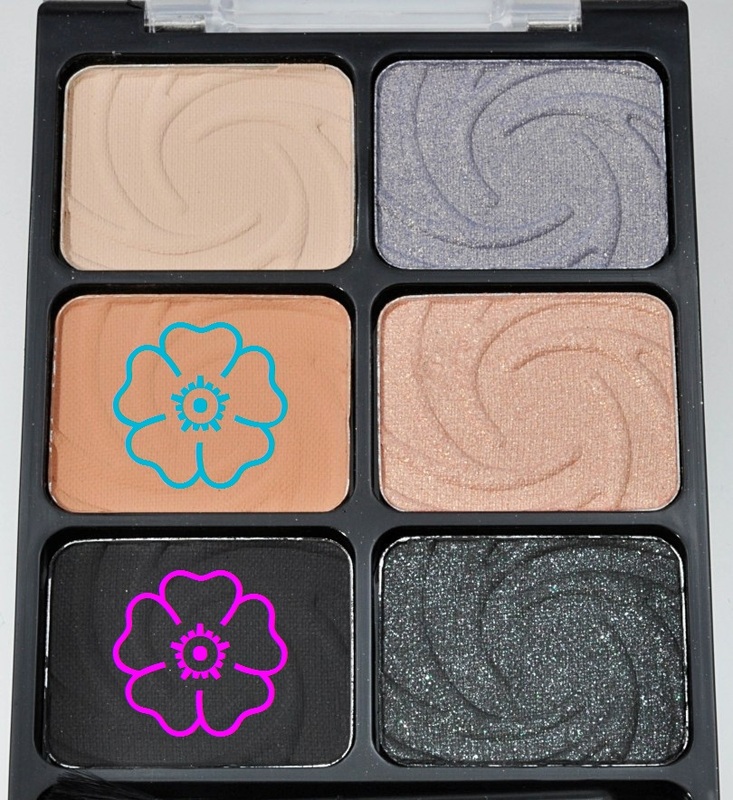 SHADOW: I applied a matte pastel blue e/s (from the Shany 120 palette) to my tearduct area. 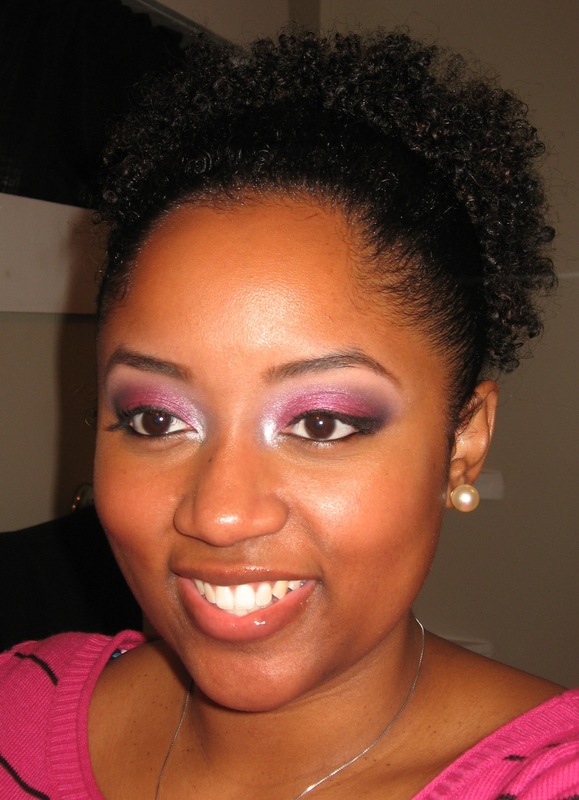 Then I covered the remainder of my lower eyelid in Frigid by Urban Decay. 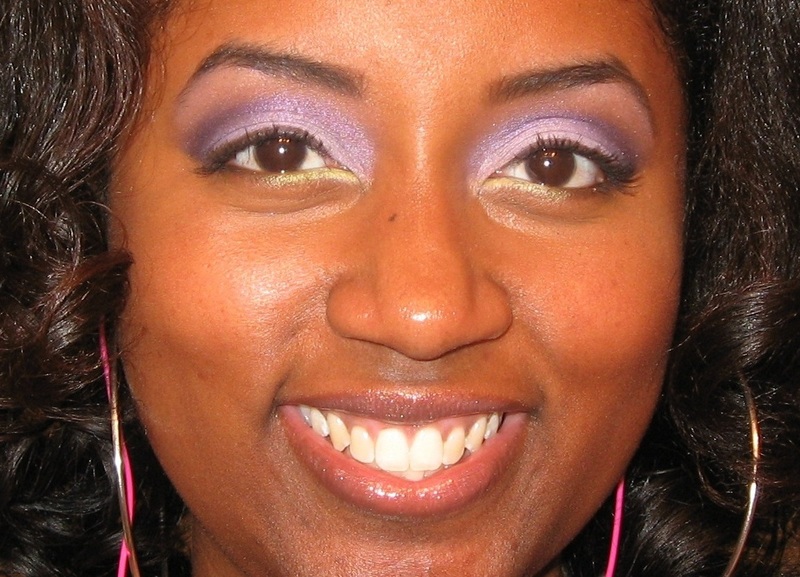 I used a clean brush to blend the purple into my crease area, then I used matte peach e/s (from the Wet N Wild Greed palette) to highlight my brow bone. 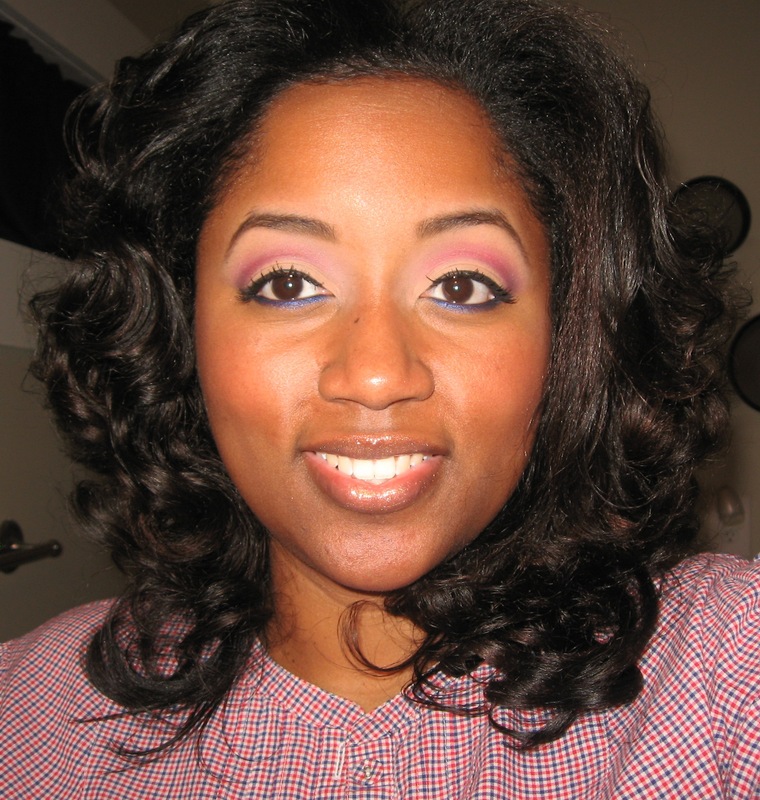 OTHER DETAILS… I used Wet N Wild Arch Envy brow wax & CoverGirl single e/s in Smolder to define my eyebrows & L’Oreal Collagen Mascara in Blackest Black on my eyelashes. 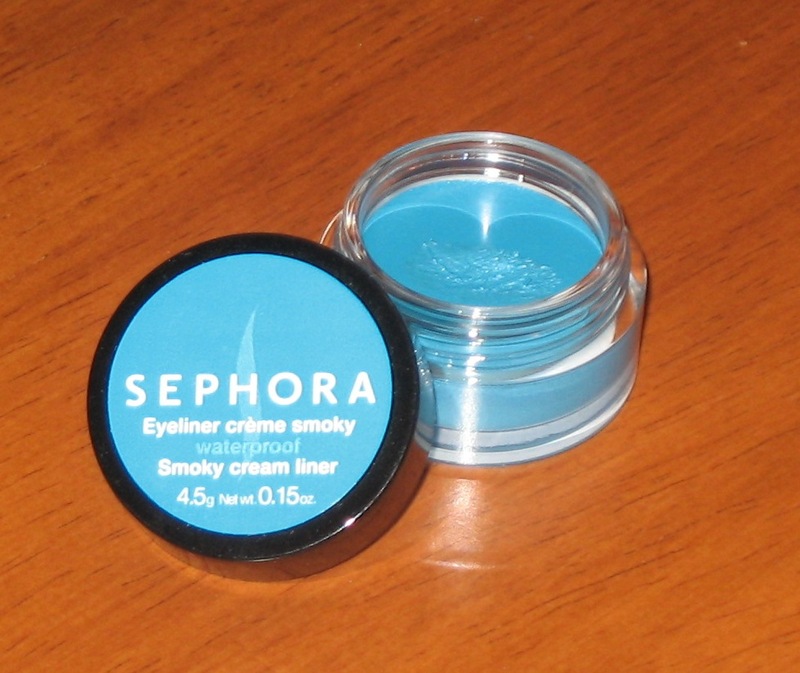 I defined my upper lashline with Wet N Wild cream liner in black & my waterline with Sephora waterproof cream liner in electric blue. 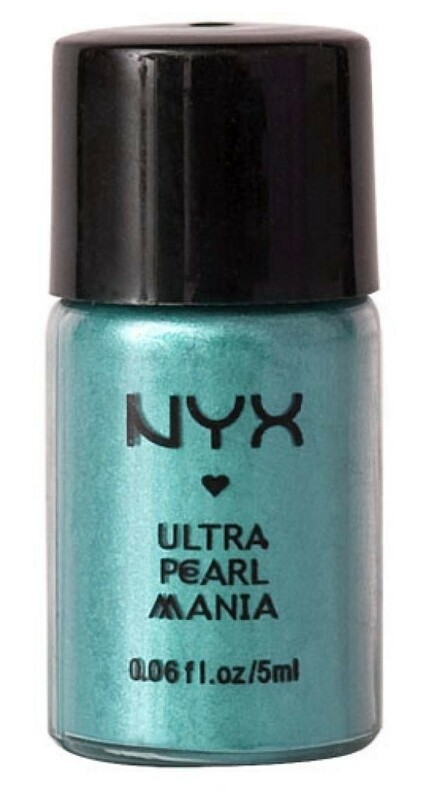 SHADOW: I covered my entire lower eyelid in NYX Ultra Pearl Mania in Turquoise Pearl. 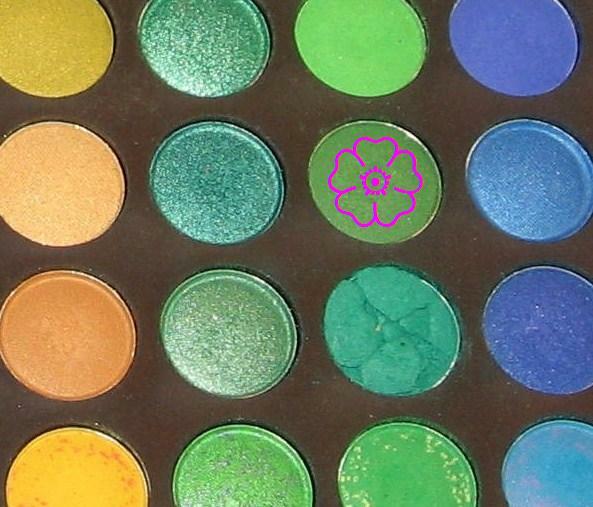 Then I used my pencil brush to draw a line along the crease of my eyelid in shimmery, dark green e/s (from the Wet N Wild Snow Sprite palette). 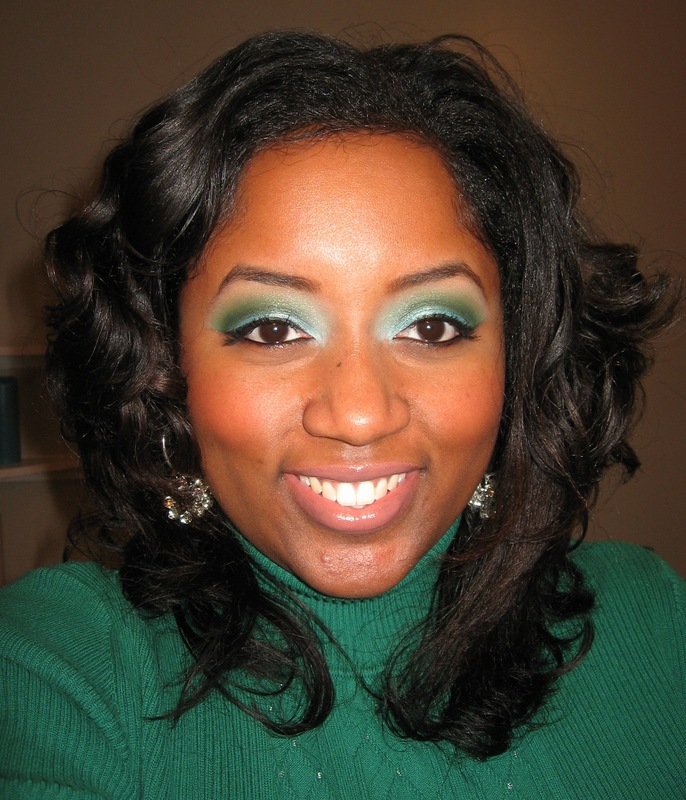 I used my Coastal Scents crease brush to blend that line & fade the dark green e/s into a matte grassy green (from the Shany 120 palette). 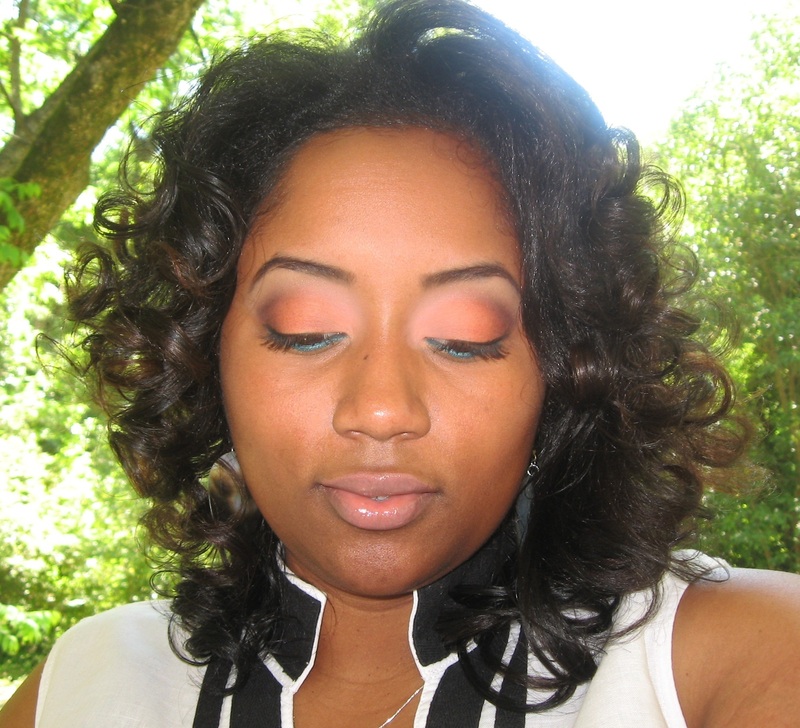 Finally I used matte peach e/s (from the Wet N Wild Greed palette) to highlight my brow bone. 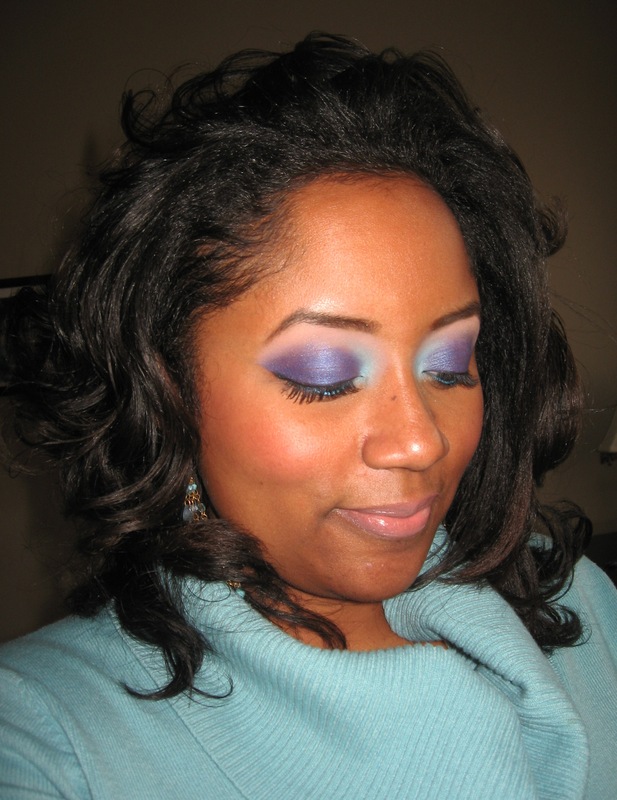 OTHER DETAILS… I used Wet N Wild Arch Envy brow wax & CoverGirl single e/s in Smolder to define my eyebrows & L’Oreal Collagen Mascara in Blackest Black on my eyelashes. 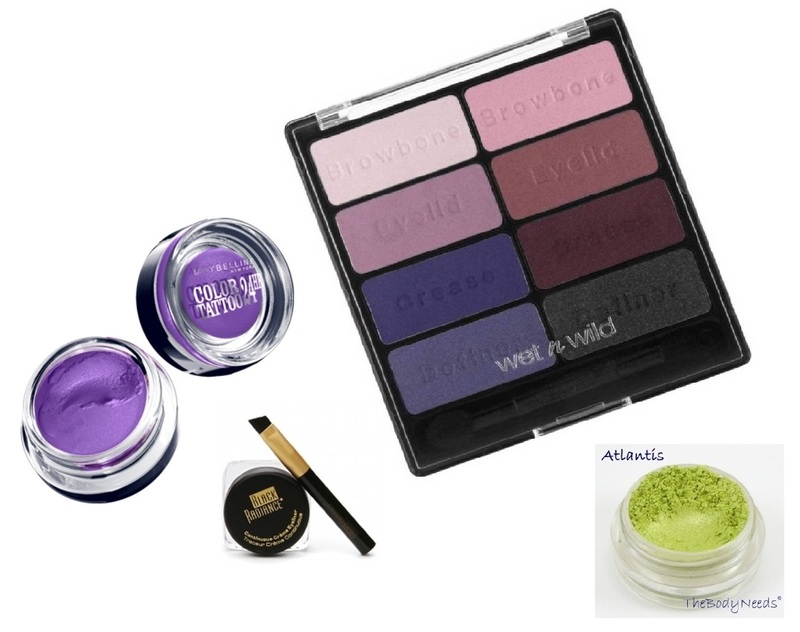 I defined my upper lashline & waterline with Wet N Wild cream liner in black.